“It appears that they have given up on that commitment and are accepting that Iran will gradually, within a few years, will develop capabilities to produce material for many nuclear weapons,” he said in Israel. The Administration despises Netanyahu and is enraged that the Prime minister is going to speak to Congress on March 3rd. Secretary of State John Kerry effectively called Netanyahu a serial alarmist, and warmonger. National security adviser Susan Rice denounced Israeli Prime Minister Benjamin Netanyahu’s upcoming address to a joint meeting of Congress, calling it “destructive” to the relationship between the United States and Israel. As the clock ticks toward an Iranian/US agreement, Netanyahu has absolutely no trust that America under President Obama’s leadership would act in a timely manner to prevent Iran from crossing the nuclear threshold. The Israeli Prime Minister cannot help but to notice that the President has demonstrated a pronounced lack of US will when dealing with international conflict. President Obama embraces what he calls “Strategic patience” which is a synonym for passivity. Mr. Netanyahu sees that Russia pushes deeper into Ukraine and that Iran now extends its hegemony over Sanaa, Beirut, Bagdad and Damascus (a total of four Arab capitals). And there of course is ISIS—the President has responded with extreme slowness and a consistent lack of clear strategy. Many in Israel are overwhelmed with worry. US intelligence agencies do not have a good track record when it comes to appreciating nuclear advancement of world powers; they were taken by surprise when India, Pakistan and North Korea joined the nuclear club. Iran is next. Netanyahu will seek to warn the world yet again when he speaks on March 3rd. Netanyahu’s focus on the Iranian threat is a continual reminder of Washington’s double mindedness (I Corinthians 14:8), its lack of strategy regarding international conflict and its confusingly slow response to global bullies. 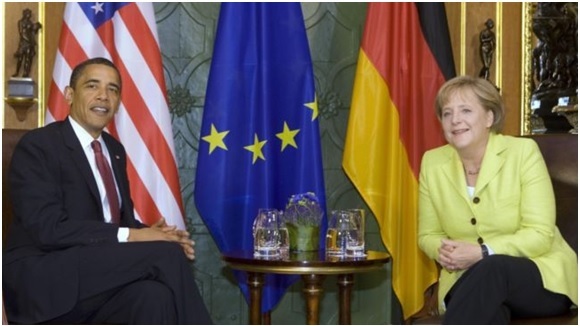 The world that Merkel [leader of Germany] faces today is startlingly different. The European Union is in a deep crisis. Many blame Germany for that crisis, arguing that its aggressive export policies and demands for austerity were self-serving and planted the seeds of the crisis. It is charged with having used the euro to serve its interests and with shaping EU policy to protect its own corporations. The vision of a benign Germany has evaporated in much of Europe, fairly or unfairly. In many places, old images of Germany have re-emerged, if not in the center of many countries then certainly on the growing margins. In a real if limited way, Germany has become the country that other Europeans fear. The Germans are trying to find some sort of cover for the role they are playing with the Greeks. Germany exported more than 50 percent of its gross domestic product, and more than half of that went to the European free trade zone that was the heart of the EU project. Germany had developed production that far exceeded its domestic capacity for consumption. It had to have access to markets or face a severe economic crisis of its own. I am watching Europe closely—viewing a Union of nations (European Union) that is attempting to work through a serious disagreement. We see in a prophecy in Daniel chapter 2 a human model representing the succession of human empires, the ten toes, the final empire to rise in Europe, are portrayed as part iron and part clay. So the final Gentile kingdom will be “partly strong and partly fragile” (Daniel 2:42). Note that iron does not mix well with clay (verse 43). Europe is a mix of ethnic groups with various agendas. In the near future the Bible says that these diverse nations will put aside their national differences for a short time to astound the world. A European dictator will receive support and funding from various leaders (Revelation 17:12-13). This has not taken place yet, but it will take place in the near future. The timing of the rise of this European dictator is in God’s hands, it is God who sets up and takes down leaders and nations (Daniel 4:25; 5:21). With prophecy telling us to look for a revived European Beast syndicate—let’s review what is taking place in Europe right now. Europeans are very nervous… will Europe and Greece agree on a new strategy for handling Greece’s huge debt problem? Will the European Union (EU) begin to fragment creating a wave of panic that pummels the world financial markets? 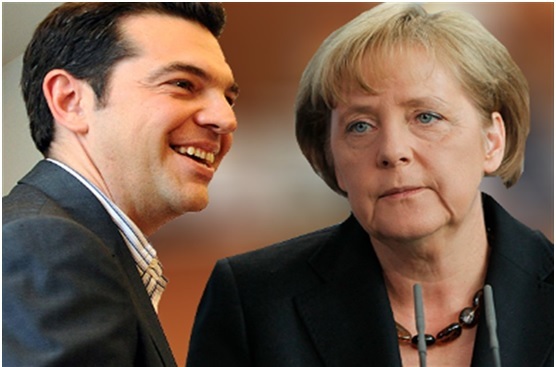 At the moment all eyes are on Germany to see if it will cave to Greece’s demands. 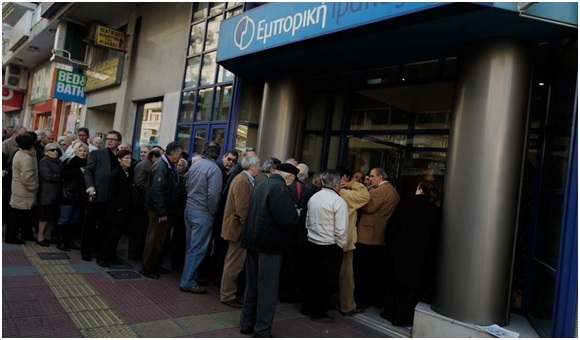 Greece’s current program of loans ends on the 28th of February. Be sure to view the news that day, to see what the outcome will be in Europe. The eurozone crisis has confirmed that Germany, with the most vibrant economy and the deepest pockets, is the supreme power player in the European Union. As the British Foreign Office has rumored to have said, ‘In today’s Europe, you can’t change things unless Germany is with you.’ Even if nations were to leave the EU, Merkel and Germany would determine the exit terms. Pundits who are following the European debt storm say the German position is simple: If Greece wants to leave, let it go. A German economist on the BBC’s Today program described Greece as a man standing on a roof threatening to jump, with Germany as a concerned bystander offering to help him with his problems. This image fails to mention that the bystander is tied to the potential jumper and is likely to suffer significant injury should the man jump—BBC World Service. What is called the Grexit (Greek exit of the Eurozone) would severely shake the confidence of Greece and the Eurozone members. If Europe kicks Greece out, then Alexis Tsipras of Greece could turn to Russia for financial help. The thought of Russia gaining influence in Europe’s backyard would be extremely destabilizing. Greece would lose its relatively cheap access to lending, and easy access to Europe’s trade matrix. What is most problematic is that if Greece leaves this could excite Spain to follow, and then Italy, a contagion could spread within the European Union igniting fear in global markets. Newly appoint leader of Greece, Alexis Tsipras has promised to stop what he has called the ‘fiscal waterboarding’ at the hands of Germany. But northern European leaders, led by Angela Merkel, are glacially opposed to any compromise with Greece. They fear that if Greece gets its way, voters across the eurozone periphery will turn to anti–austerity parties in the hope of securing better bailout terms. The European political scene is dangerous and unpredictable, new political Parties can be formed and lead the polls within months. Look at what has happened in Spain—Podemos is only 12 months old but it consistently tops the polls in Spain. Podemos, like Syriza in Greece, is opposed to the German austerity measures that were imposed upon Spain over the last few years to blunt the swelling debt within the country. There are elections in Spain this year, Podemos has come from nowhere to become a major player in Spanish politics with huge popular support—this is a very disturbing tide that Germany fears—the rise of anti German/anti-austerity parties in Europe. But let’s keep in mind that the Greek debt crisis is just the tip of the iceberg. The country that really keeps European policy makers up at night isn’t Greece or Spain, but France. Its economy is sinking, with no signs of a sustained or sustainable recovery. Its unemployment stands at a record high of 3.5 million, it has had to abolish the much-hyped 75 per cent tax rate on the rich after it turned out to be an abysmal failure, and its tax revenues are so weak that it’s now looking at a deficit of 4.1 per cent of GDP — far outside the 3 per cent limit supposedly demanded of EU member states. If the European Commission applied its own rules properly, France would be fined for this continuing inability to get its books in order. The great debate is whether France is, in economic terms, part of northern Europe or stagnating southern Europe. Tellingly, the day after the Greek result, François Hollande invited Tsipras to the Elysée while Nicolas Sarkozy went to Berlin to see his old ally Angela Merkel, reflecting the division between the current president and the past president over what role France should try to play in Europe. Everyone seems to be focused on Greece debt at the moment, but the truth is the big nations of Europe such as France and Italy are on the verge of drowning…Europe is truly in trouble. Back to the Greek Crisis—so how do you solve the Greek debt crisis? Germany and Greece have two very different ideas. Greece Syriza’s party leader, the 40-year-old Alexis Tsipras — a former Communist youth member — favors an irresponsible approach: Writing off most of Greece’s debt, a weight he describes as “not just unbearable, it objectively cannot be repaid.” But Germany has drawn the line on Greek debt. Germany is against writing off more of Greek debt, someone has to pay for those write-offs, and Germany is not in the mood to use its money to throw at the Greek problem. Tensions are rising in Europe, and European and American stock markets swoon daily depending on the latest news out of Europe—the financial markets are jumpy. 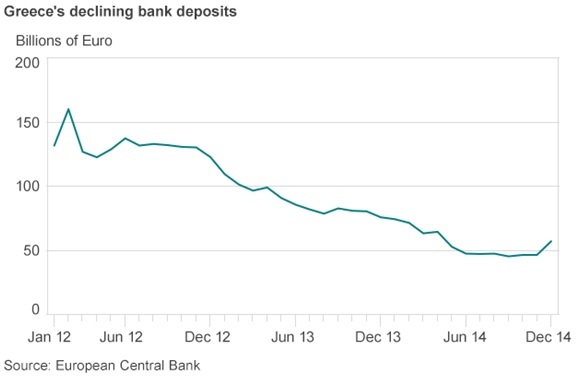 The ECB (European Central Bank) threatens Athens with bank funding cutoff on February 28th unless Greece yields to the ECB’s rules. The next few weeks will see volatility in the press and world financial markets—all linked to what will happen to Greece and how the EU responds to the Greek debt challenge. This European debt impasse is very important—pay attention to Europe!